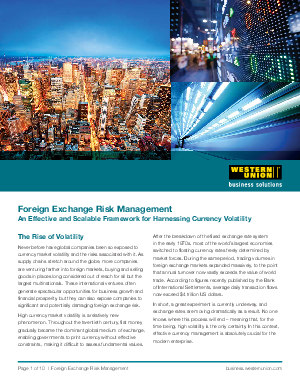 Never before have global companies been so exposed to currency market volatility and the risks associated with it. Left unmitigated, market volatility can increase costs and compromise profits. But with an effective risk management strategy, market volatility can be harnessed to create opportunity and a key competitive advantage for your business.